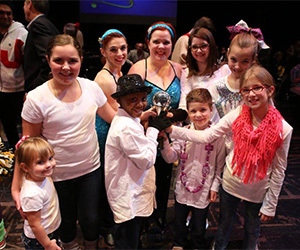 Nine local talents danced their way into the hearts of more than 500 people recently at the 3rd annual “Dancing for the Kids” event at the Akron Civic Theatre. 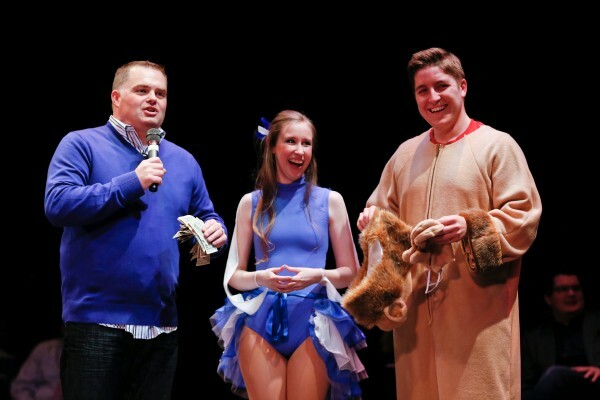 The show raised $93,386 for the Showers Family Center for Childhood Cancer and Blood Disorders at Akron Children’s Hospital, an increase of more than $11,000 from the previous year. Akron Children’s Emerging Leaders Board hosted the event, which is dedicated to raising funds and awareness for the hospital. 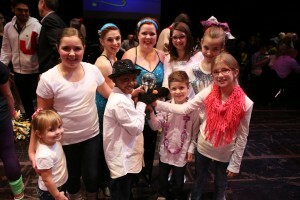 The event featured local talents who danced with their partners, students from the University of Akron. WKDD’s Keith Kennedy emceed the event, while 3 guest judges evaluated their performances. Awards were given to former patient John Hillock for the most money raised and Dr. Sarah Rush for best performance. Hillock raised more than $16,500 and performed in full costume to “I Just Can’t Wait to be King” from the Lion King. Dr. Rush, director of the neuro-oncology program at Akron Children’s, stole the show with a routine featuring current neuro-oncology patients. See photos of the performance below.